Kyrgyzstan’s trade with the other the Eurasian Economic Union (EAEU) member countries has decreased by 18.6 percent, TASS news agency of Russia reported citing the National Statistical Committee of Kyrgyzstan. 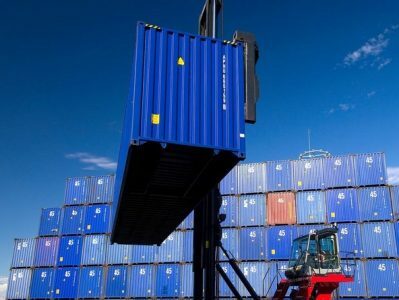 “During the ten months of last year, the [Kyrgyzstan] export-import volume with the [other] EAEU countries amounted to 1.575 billion [US] dollars, which makes 81.4% of the indicator in the same period of 2015,” reads the respective report. In the mentioned period, Kyrgyzstan exported goods worth $284 million to, and imported merchandise totaling $1.291 billion from, the other EAEU countries. The Eurasian Economic Union comprises Armenia, Russia, Belarus, Kazakhstan, and Kyrgyzstan.